We want the world to be better because we are here! Stop dreaming your life, live your dreams! Think of all the places you have not yet been. Allow yourself a dream. If you miss the warmth of life and still have some uncertainty before unexpected or astonishing events. We got friends all over the world but just haven’t met them yet. Is there too much of everything? There is a construct of virtual reality all around us – the people of modern society. The real world exists only as a landing surface for our expectations. I admit that I am also a fan of modern techno gadgets, but, too much is too much! Since their appearance, the virtual world is filling our minds constantly. Our eyes have become blind to the truth and the reality is interpreted to our brain, mainly as electrical Wi-Fi signals. Over the years, a virtual imaginary life without taste, touch or smell, has been manifested. It consists of a multitude of computer-generated images, artificial sounds, games, and movies. Consequently, the real world outside is filtered and transmitted back to us, mainly through digital media. We are saturated, so very much, with pieces of information that we don’t use and need. We have become stalkers. If you didn’t lose contact with the reality, and simplicity of life, completely, there is still hope for you on this journey. Would you like to go on Bicycle journey with like minded friends? Bicycle Touring at your own pace, through distant lands, immersed in the landscapes, listening, absorbing the culture, communicating with friendly locals? There are our fully loaded Touring Bikes, the road and series of encounters and experiences. The real world has always been at your fingertips! While backpackers spend their hours jammed in sterile buses, racing from one ‘sight’ to the next, with a Touring Bicycle the whole world is your oyster. Take advantage of the great freedom to explore those places, that public transport doesn’t reach, to head out on quiet roads through villages where you’ll feel like you’ve gone back in time, and to enjoy the beauty and simplicity of a nomad lifestyle. Being you, finally, here and now! These are just some of many joys of Bicycle Touring. Almost anyone can go on a bicycle tour. The only recommendations are a thirst for adventure, and the strength of mind to convert your desire into actually set off. Though our tour might not be just easy and fun. It wouldn’t be an adventure if it was. There’ll be plenty of challenging times, particularly to find your rhythm. And with persistent, after we done successful escape from our comfort zone we will discover, that this world is a friendly place. 10 Ways to Find Bicycle Touring Companions? It is not my way to explore various websites for finding like minded friends. This website has a powerful message for everybody! It does not matter at all whether you are a man or a woman. You’ve found the right place to get to know each other. Please get in touch if you have any questions. In order to gain true knowledge, one should search to find his own, personal experience! Believing that the only solution to all the imaginary stuff in our heads, is the Self-Aware experience, as a true guarantee, that reveals the Life in all his ambivalent unity. And let’s hope that we will not perish somewhere in the unaccomplished story. To soon we’ll be gone! One sooner, one later… a Grand Journey to the other side. 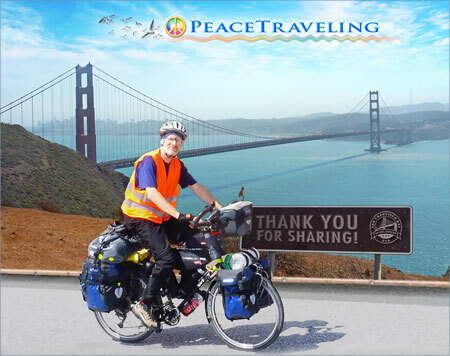 You can help the Peace traveler Quest by becoming Sponsors! 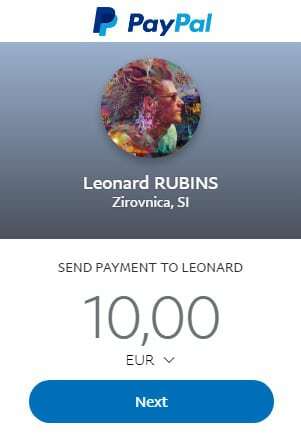 Every Contribution or Donation is Rewarded! What are the Benefits for Your Cooperation? Funding living costs, and Art For Peace almost entirely by selling art. I am NOT a BEGPACKER, but if you approve what I do, please support me! Every donation counts, no matter how modest it is! If you decide for a Donation, you won’t have the feeling of giving something for nothing. 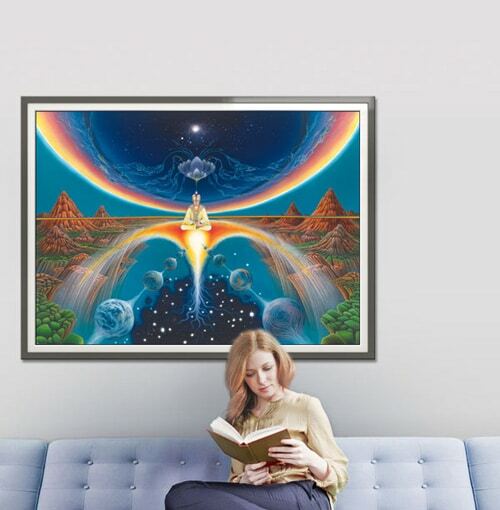 You will get an inspirational digital artwork with myriad of details, imagination and deep symbolic meaning from renowned artist Leonard Rubins, owner of DIGITALARTWORKS.ORG, and one of the founding members of PEACETRAVELER QUEST Association. You will receive a free download option! 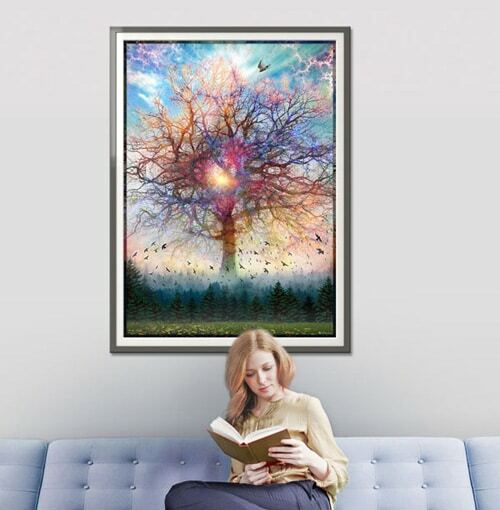 We also offer advertisement for Donors on social media and websites: www.peacetraveling.com; www.peacetraveler.org; www.imaginaryart.org; www.immanentart.com. » Different sizes of prints available! 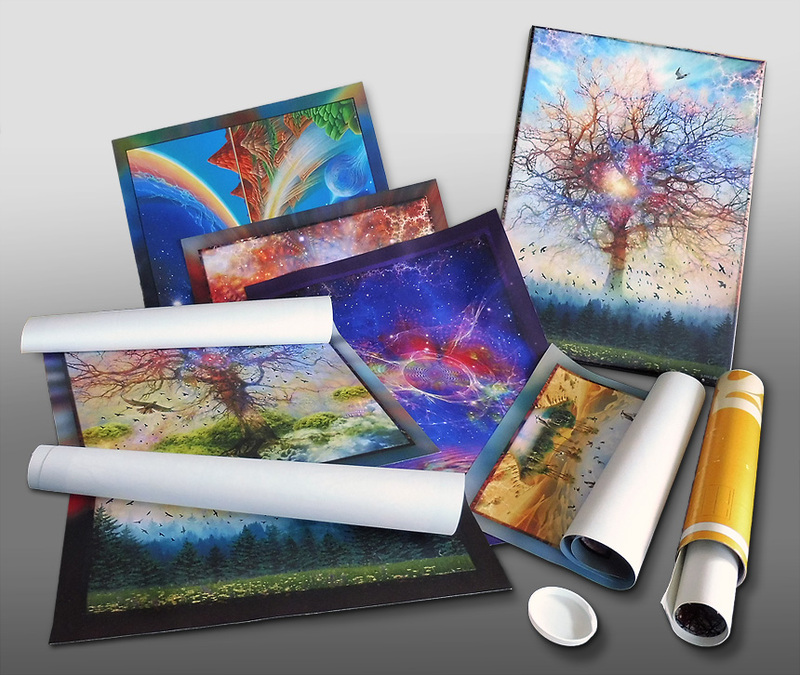 Prints are rolled in a Shipping, and delivered worldwide.